A very warm hello from one of my favorite places in the world - Frankfurt! Aka my home, not exactly a place I lived my whole life but a place that means a lot to me. I am here for two weeks to see my friends and family, to relax, to drink lots of pumpkin spice latte and to enjoy crispy weather. Perfection. I met up with a few friends yesterday and had the nicest lunch with the lovely Nicola who used to make photos for my blog when I lived here. 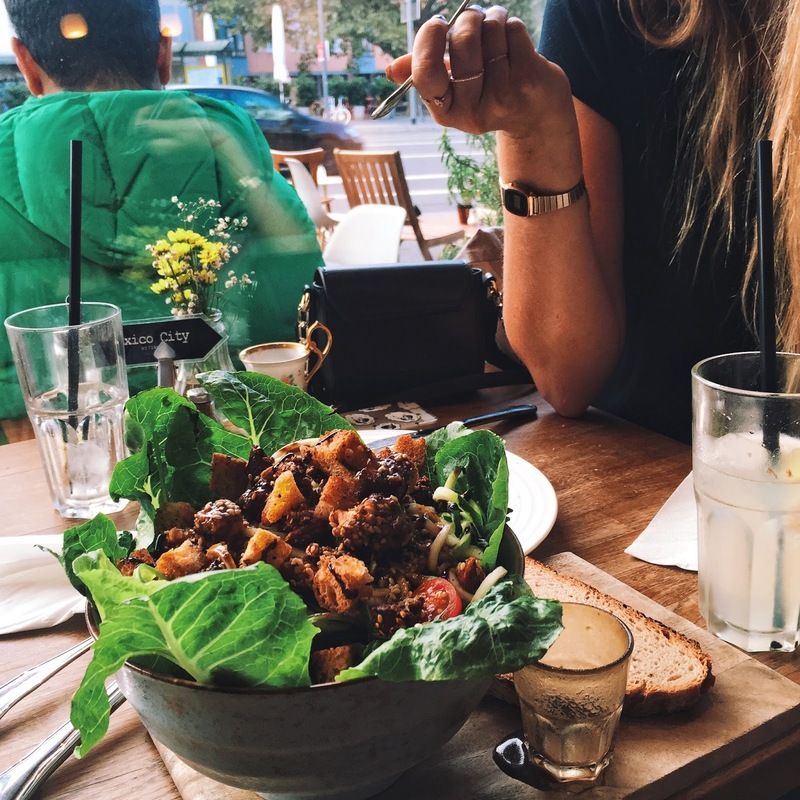 We tried out this cozy cafe in the city Sugar Mama and I fell in love with their zoodle salad. So so good! I need to try and make it at home. Some ginger lemonade to boost my immune system as I have been quite sickly lately, still trying to get used to flying and sleeping at weird hours.. or not sleeping at all haha. But I am really happy to be here! I will try to make more photos while I'm here in Frankfurt and share them with you. Now I'm off to shoot with Nicola, so maybe new photos even later today! Hugs to you all.